In 1977, Jeanette Stokes was a graduate of Smith College and the Divinity School of Duke University when she decided to carry out a special dream. She envisioned a center that would “provide resources and programs on women, ministry, social justice, and spirituality,” and so she founded what she called the Resource Center for Women and Ministry in the South. In the mid-90s, during a sabbatical leave from her long-time role as Executive Director of the Resource Center, she started moodling* around with the essays she had contributed to the Resource Center’s newsletter. She spent months scanning and reformatting and correcting. I was right. Not only was there a book in there somewhere, but it turned out to be a book that knocks my socks off. 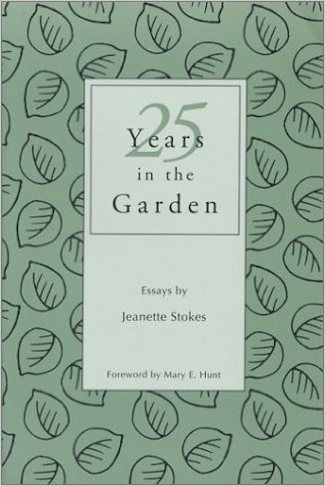 25 Years in the Garden collects more than sixty of Stokes’ essays. The earliest is dated November-December 1979; the most recent, July 2002. 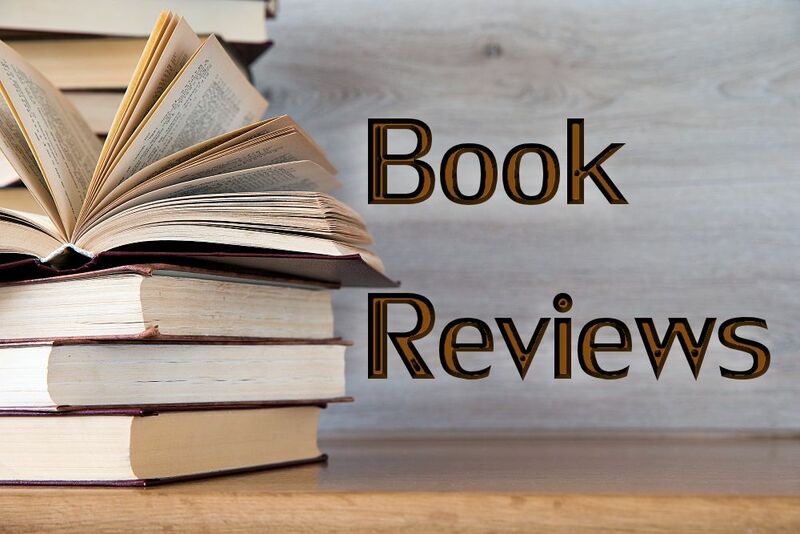 In between is an on-the-hoof historical and personal record of one woman’s life as a clergywoman and social activist in a time of enormous change. Reading it is like taking my own pulse: familiarity mixed with intense concentration. Some of the essays center on events in North Carolina that had national (and theological) significance — the Nazi-Klan trial in Greensboro, North Carolina in 1980; the defeat of the Equal Rights Amendment in the North Carolina Senate in 1982; the poultry plant fire in Hamlet, North Carolina, in 1992; the execution by lethal injection of Dawud Abdullah Muhammad (born David Junior Brown) in 1999. The simplicity of the writing often belies the complexity of the content. For instance, when Stokes describes walking through the scene of the chicken house fire, I smell the destruction; taste the outrage; and mourn the loss of life. The power of those sensations places me smack dab at the intersection of faith and public policy. Does Stokes give answers? Not always. She’s wise enough to know that sometimes the larger gift is a needed analysis or a constructive surmise. The answers she does provide, though, are invariably helpful, often provocative, and always sane. For instance, the essay “Church” (March 2000) opens with a friend asking how she gets around her frustration at being part of the institutional church. Stokes responds, “Church is what it is. I decided a long time ago to stop torturing myself over it. I have not given up hope of changing it, but I have given up suffering over it. I find support and spiritual community where I can.” Many of us — or at least I — would do well to emblazon that statement in neon paint across our office walls. That decision marks a turning point in the book. The emphasis on the spiritual/political/activist life continues, but the heart of the book widens. Many essays model the spiritual discipline of self-attention, the way of honoring life and God that involves the decision to “live today as consciously as I can.” In one essay we get to sit with Stokes in a white Adirondack chair as she stares at a bush for two weeks “because I wanted to hear the inside of my head.” In other essays, we get to clean out compost bins with her; to attend a family reunion; to walk a labyrinth; to buy a loaf of bread from a bread truck in Italy (but not just any bread; it is “the most beautiful loaf of bread I’ve ever held in my own hands”); and to sit at her breakfast table as she eats from the same blue pottery bowl she’s used every morning for over twenty-five years because, she says, “it’s really nice not to have to start making up my life or responding to the unexpected until after breakfast” (“Bowl,” April 2002). In the conclusion of that essay, Stokes says, “A spiritual practice is something you return to day after day. It’s a place where judgment can be suspended and one can accept oneself.” Did you know that? If I ever did, I’d forgotten. Her reminder, like so much of the book, refreshes and encourages me. An ordained Presbyterian minister, Jeanette Stokes has been taking that risk for over twenty-five years. Her power as a writer comes from her intellectual strength as a theologian; her sturdy and unquenchable faith; her integrity; and her awareness that life is splashes of color, sometimes joyous, sometimes heart-breaking. I have a few minor wishes: that more of the essays from the seventies and eighties could have been included, and that some of the essays were longer. The two-to-three page format makes the book ideal for both general reading and devotional use, but sometimes I wanted Stokes to fly further and higher with the topics, an impossibility with the length requirements. But I’m only quibbling when I say that. You need to read this book, and then you need to tell all of your friends about it, and then you need to read it again, for the sheer joy. * Ed. note: Stokes points out that the term moodling was a descriptive term used by Brenda Ueland in her 1938 book, If You Want to Write. “You know what moodling is,” Stokes says, “It is doodling without a pencil.” (p.73). Ueland described it as “long, inefficient, happy idling, dawdling and puttering” and called it essential to a creative imagination (Brenda Ueland, Graywolf Press, 1987 edition, p.32).